$157 million, 55,000 riders: Pelotonia’s numbers are inspiring and impressive, with each dollar representing another step toward a cancer-free world and every rider a sign of the support that can make that dream a reality. Those numbers, however, are only the beginning of the story of the annual bike ride’s role in the fight against cancer. 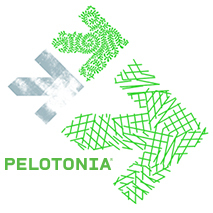 To get a full picture of the impact of the miles pedaled and money raised, you have to take a look at the groundbreaking research underway every day at the OSUCCC – James, where the passion and purpose of Pelotonia is put into action by our team of world-class researchers. Here’s a rundown of ten promising treatments, trials and programs developed at the OSUCCC – James with the help of Pelotonia funds. A first-of-its-kind drug for chronic lymphocytic leukemia (CLL), Ibrutinib was approved by the FDA in 2014, thanks in part to Pelotonia-supported clinical and basic research. The drug, which attacks the disease by targeting a protein essential for the survival and growth of its cells, is now available to thousands of patients across the U.S. This Pelotonia-funded initiative linked 50 hospitals across the Buckeye State to screen newly-diagnosed colorectal cancer patients and their biological relatives for Lynch syndrome, an inherited cancer-causing condition. The combined effort could save an estimated 1,000 years of life through prevention and early treatment. Powered by Pelotonia, Ohioans could play a leading role in planning the future of the fight against America’s leading cancer killer. Through the BLC-IO study, James experts aim to evaluate the impact of advanced gene testing and expert advice on lung cancer treatment and patient survival, while promoting prevention by boosting smoking-cessation rates among patients and their families. Another example of Pelotonia’s impact on Ohio, the goal of this statewide initiative is to improve outcomes for endometrial cancer patients and their families through the creation of individualized treatment plans, as well as the genetic testing of patients and their relatives that could identify predispositions to other types of cancer. OPTEC will bring these services to approximately 700 women from 25 partner hospitals throughout the state. Pelotonia creates research from riding; The James’ Drug Development Institute turns discoveries into treatments. The institute, supported by Pelotonia and other sources, is staffed by James experts who specialize in facilitating the development of cancer drugs by providing pathways through manufacturing, clinical trials and FDA approval. The results can accelerate the movement of innovative therapies from the lab to the bedside. Pathology specimens from the past could help patients long into the future through this process of scanning and digitizing slides to create highly-detailed images. Pelotonia dollars are supporting this work aimed at creating a digital archive that will be made available to doctors and researchers anywhere in the world. Cancer care collaboration is also the theme of this Pelotonia-funded effort designed to speed up the development and delivery of precise treatments, diagnostic tools and prevention strategies. ORIEN’s membership includes 18 U.S. cancer centers, each sharing consented patient data via a protocol called Total Cancer Care® (TCC). More cancer-fighters of the future will come out of Ohio State thanks to this program, which provides undergraduate, graduate, medical and postdoctoral students with opportunities to conduct research in the labs of the university’s world-class faculty members. The grants are available to students of any academic discipline, helping to ensure that careers in cancer research remain open to our brightest minds. The gateways to innovation, clinical trials form a pillar of the pursuit of a cancer-free world. Pelotonia funds are a major source of support for clinical researchers at The James as they work to bring breakthroughs in breast cancer, sarcoma, prostate cancer, leukemia and other forms of the disease. World-class care and research require top-level talent, and Pelotonia is helping Ohio State bring some of the best in the business to Columbus. Researchers and their teams from around the world come to The James to take their work to new levels through the latest technology, collaboration with Ohio State colleagues and the unwavering support of the surrounding community—all of which is made possible in part by Pelotonia and its thousands-strong family of riders, donors and volunteers.